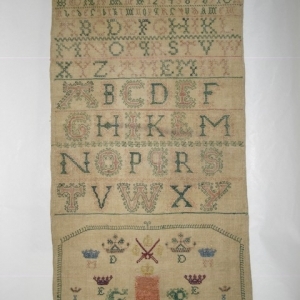 I love antique samplers, but have no more wall space, so my stitching has to be practical. 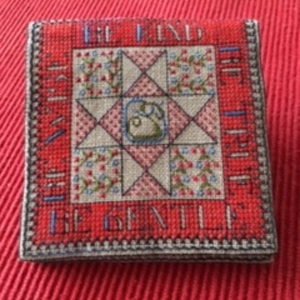 I found this lovely Quaker sampler which is so small I couldn’t resist it. 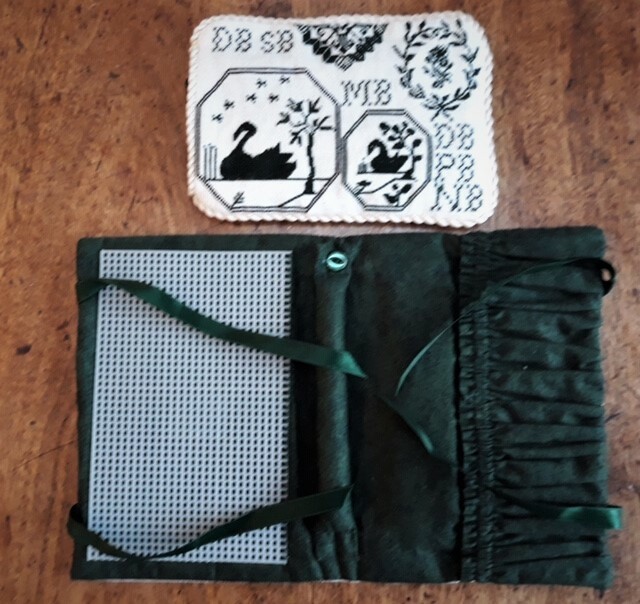 These 6 ½” x 4 ½” and 7 ½” x 11” samplers, stitched on 28 count cream and flax linen in black and dark green silk and DMC is obviously a tribute to a family with their initials and I fell in love with it. 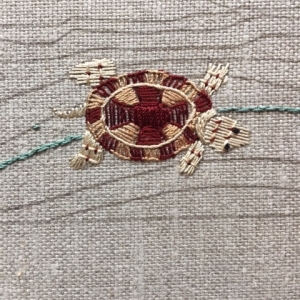 It is stitched over 2 and made bigger as a travelling jewelry case, and also stitched it over 1. 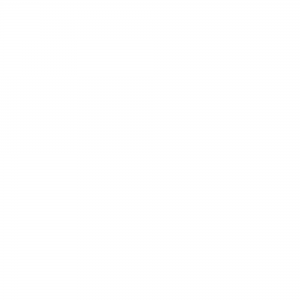 The over one version is the same size as the original. I turned it into a glass case which I trimmed with twisted cord. Everything you need to make BOTH items is in the kit, you can choose to make one or both. It was so quick to stitch, I made 2! Kit includes: 28 Count cream and flax linen, silk and DMC fibers, interfacing, lining material, wadding, button, ribbon, elastic, canvas Chart and instructions.